Nadi International Airport is a 15 minute drive from the centre of Nadi. Most flights arrive very early in the morning. 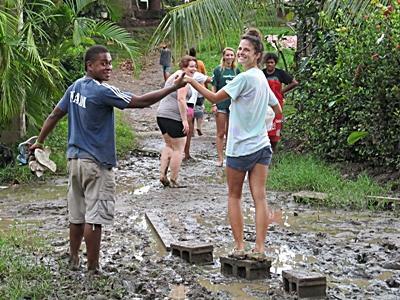 When you arrive at the airport, one of the Projects Abroad staff in Fiji will be there to meet you. From the airport you will be taken by taxi to your host family home where you can relax and unpack before being picked up again later to complete your induction in the Projects Abroad office and around your local area (a time will be confirmed once you arrive with the local staff). If you are going to be based on our Conservation project in Pacific Harbour, depending on the time of your arrival you may stay the night in Nadi at a local host family. A member of staff will then collect you the following morning and put you on the bus to Suva. If you arrive on an earlier flight then you will be put on the next available bus to Pacific Harbour and will be met by the staff there, and be taken to your accommodation. Depending on the time of your flight you will either have your induction in the afternoon of your arrival day or the following day. In Nadi you will be picked up from your host family and taken for an orientation around town. You will be shown how to reach our office by bus and there you will be introduced to the other staff. You will be shown the handbook and any necessary safety and security measures will be explained. You will then be shown around town including different landmarks and amenities such as the post office, banks, bureaux de change and you can also buy a local SIM card. 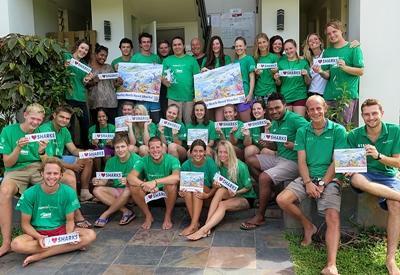 You will also have the opportunity to meet the other volunteers who will be very eager to meet you! After the tour we’ll take you back to your new home to rest and properly settle in. The next morning, you will be picked up from your host family and shown how to get to your placement. Most placements are conveniently located within a short bus ride from your host family. Our staff will make sure that you are happy with this journey before you do it alone. Please note that if you do need to use local transport to get to and from work you will need to cover the cost, which should not be more than £1 per day. When you arrive at your placement, you will be introduced to the supervisor who will explain your role and what you will be doing during your time. Our host families are Native Fijian or Indian-Fijian and all speak good English. On your first day you will receive a full induction of the local area in Pacific Harbour, as well as a tour of the accommodation and office premises and an introduction to the Conservation project. Projects Abroad has an office in Nadi and Pacific Harbour, both are easily accessible by bus and some host families in Nadi are even within walking distance. In Pacific Harbour, the office is at the same location as the accommodation. Both offices have an area where volunteers can use wifi and can come to use the resources we have available to help with their work preparations.